Amy Stevens cakes @ POST 10 party at the Institute of Contemporary Art. 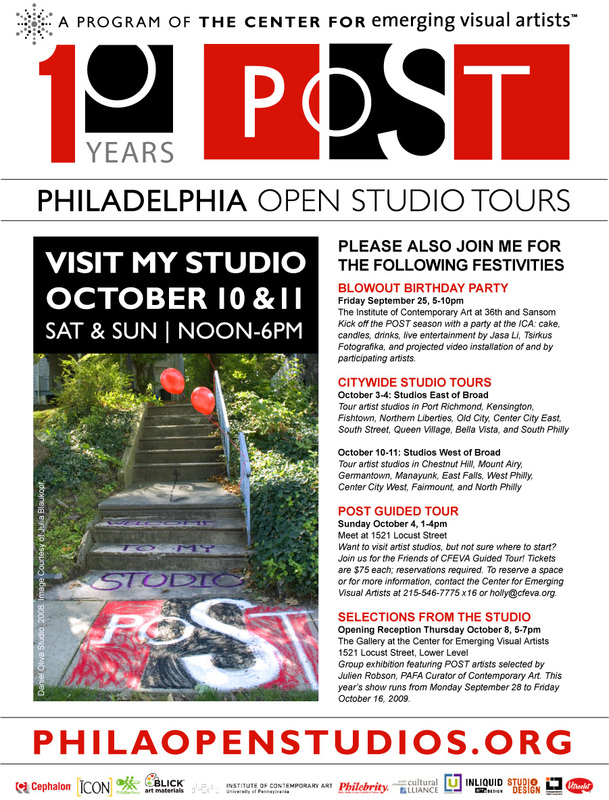 Amy Stevens – CFEVA 2008 Alumni – made the art cakes for the POST 10th Anniversary party in University City. Art Party People – Ed Bronstein (a POST founder), photographer Danny Reilly (who’s having a one-person show @ Bonte’s on 17th this October), Ron (we studied together @ Fleisher with James Dupree), Andrew Pirie (former CFEVA rep)…Shoshka, Alden & DoN ate cake & sipped wine with Margaret Anderson of heavybubble.com, Brooke Hine, CFEVA director Holly Lentz, Genevieve Coutroubis (with her pretty baby), Tremain Smith (encaustic artist), and so many more. 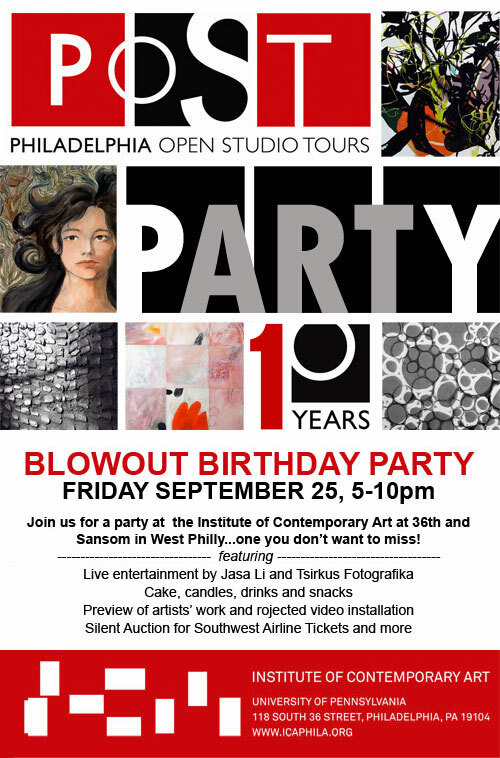 Hopefully the tradition of having the kickoff parties for future POST events at the ICA continues since it’s the epitome of contemporary art spaces in Philly. Textile artist & muralist, Kathryn Pannepacker arrives via moped at the POST 10th Anniversary party @ the ICA. 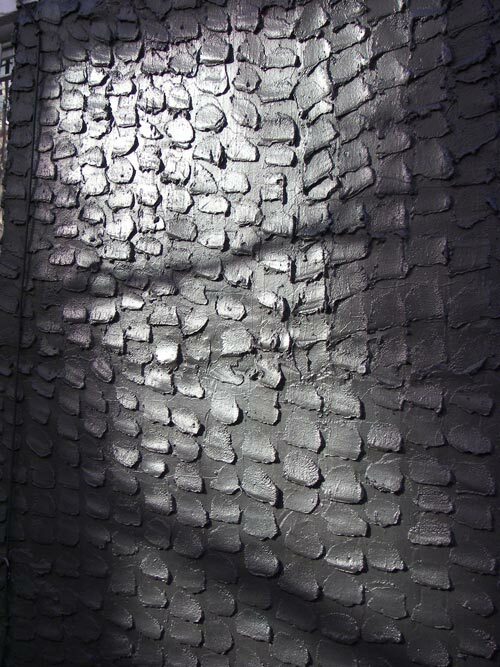 This entry was posted in Art in Philadelphia, Art Museums, Center for Emerging Visual Artists, Fine Art Philadelphia, Philadelphia, Philadelphia Art, Philadelphia Artists, Philadelphia Artists, Philadelphia Open Studio Tours, Public Art, Uncategorized on September 29, 2009 by admin1. Collaborative paintings by Kim Martin & Karl Olsen in the upstairs gallery/studio of the venerable Plastic Club allowing the large scale unmounted paintings pride of place. Many visitors to the club remarked how the space looked so chic, like an atelier in Paris. Kim & Karl worked together for eleven months to produce the fantastical installation of paintings; the first floor gallery is dedicated to works created by the artists as individuals with the room split right down the middle. Al Gury said he liked this collabo the best because of the composition. Even though the distinct styles are visible, the two halves work together as a cohesive whole. The simple materials, limited palette, fast hand and apparent mind-meld produced this trippy drawing. This painting was one of the duo’s latest collaborations with no restraint, no bumping elbows, no hard feelings even if one painted out the others favorite patch, it’s also one of the first collaborations they started. Karl Olsen’s self portrait is reminiscent of Ralph Stedman, Hans Bellmer and Thomas Hart Benton’s prediliction to distortion, confusing perspectives and introspective investigation. This entry was posted in Art in Philadelphia, Art Spaces Philadelphia, Fine Art Philadelphia, Mixed Media Art, Paintings Philadelphia, Philadelphia, Philadelphia Abstract Art, Philadelphia Art, Philadelphia Art Clubs, Philadelphia Art Shows, Philadelphia Artists, Philadelphia Artists, The Plastic Club, Uncategorized on September 28, 2009 by admin1. 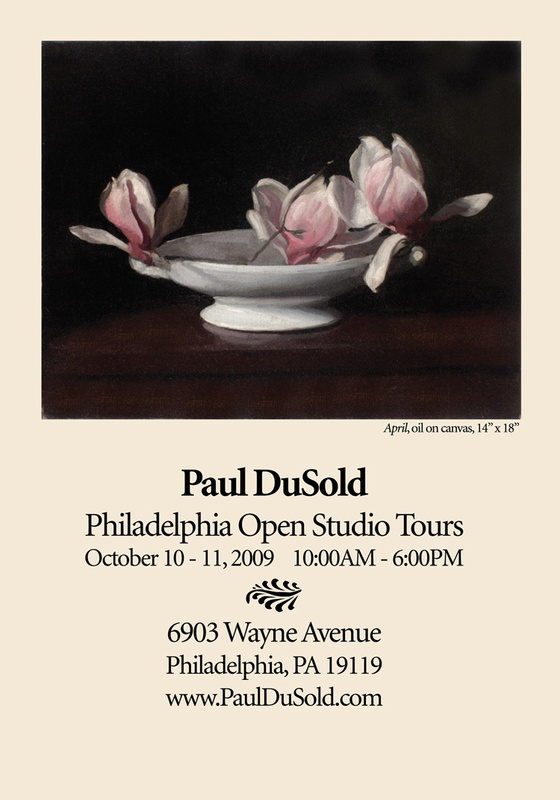 This entry was posted in Art in Philadelphia, Art Spaces Philadelphia, Fine Art Philadelphia, Paintings Philadelphia, Philadelphia, Philadelphia Art, Philadelphia Art Installations, Philadelphia Art Shows, Philadelphia Artists, Philadelphia Artists, Philadelphia Open Studio Tours, Public Art on September 24, 2009 by admin1. This entry was posted in Art in Philadelphia, Art Spaces Philadelphia, Center for Emerging Visual Artists, DoNBrewer, Mixed Media Art, Multimedia Art, One-Person Art Show, Philadelphia, Philadelphia Art, Philadelphia Art Installations, Philadelphia Art Shows, Philadelphia Artists, Philadelphia Open Studio Tours, Philadelphia Photographers, Photography Philadelphia, Video on September 24, 2009 by admin1. This entry was posted in Art in Philadelphia, Art Spaces Philadelphia, Center for Emerging Visual Artists, Philadelphia, Philadelphia Art, Philadelphia Art Galleries, Philadelphia Art Shows, Philadelphia Artists, Philadelphia Artists, Philadelphia Open Studio Tours, Philadelphia Photographers, Photography Philadelphia, Public Art on September 23, 2009 by admin1.